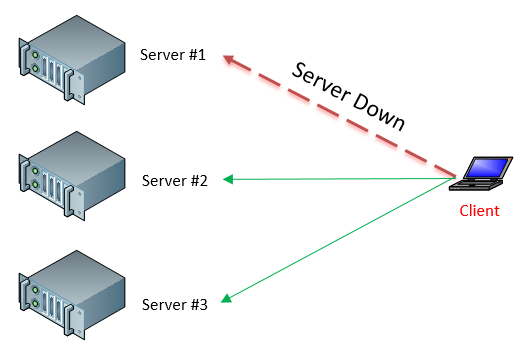 Load Balancing is a process where incoming requests from clients are distributed across multiple servers. A request is first sent to the load balancer which decides which machine in the server pool gets to process the transaction depending on its current load. Performance – With multiple application clones, response time to clients is significantly reduced. The performance boost may be as high as 80% compared to non-load balanced environments. Faster Response – Load balancing features like round robin send requests to the server that can handle more volume depending on its strength. Avoid downtime – If you have a one server environment and it needs downtime for maintenance, users will be locked out whereas with load balancers, server #1 can be offline and server #2 will handle the incoming traffic. Risk Management/Failover – If one of the servers in the load balancer fails, the second or third server in the load balancer environment can continue processing the requests. Other Features – Apart from managing data requests, load balancer has capabilities like HTTP compression (utilizing gzip), DDOS protection, caching of static data content that is used repeatedly, data encryption etc. How is load balancing applicable in a 3DEXPERIENCE Platform Environment? 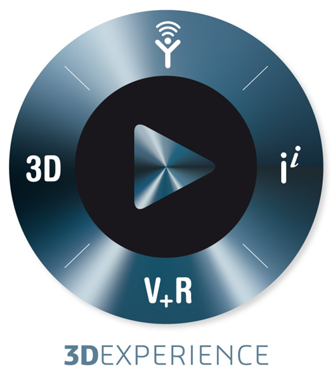 3DEXPERIENCE platform is a web application server with 10+ web application services that can be load balanced. For example, 3DPassport which handles login credentials can be load balanced for large implementations of 100s of users. Load balancer could send 25 login requests to server #1 and 25 to server #2. 3DSpace, which is the heart of the 3DEXPERIENCE platform and the most involved can be load balanced for CAD intensive implementations of more than 50 users. Some of the major load balancer providers are F5, CISCO, Citrix, KEMP, Barracuda, Radware. Cost could range from a couple of 1000s to upwards of 20k. It all depends on what features are needed. Apache web application server on the other hand offers free load balancing capabilities that can help with small size user bases. Even though there are limitations it does a good job with load balancing. Customers on the 3DEXPERIENCE platform should definitely take a look at load balancers as it will significantly reduce downtime, boost performance and help in secure communications. What is the current version/hot-fix on my Enovia system?